We’ve had our fill of Margot Robbie at the newsstand over the past six months. She’s been on American ELLE twice, British ELLE, W Magazine twice, British Vogue, Vogue Australia and now makes an appearance on Harper’s Bazaar Australia for March. 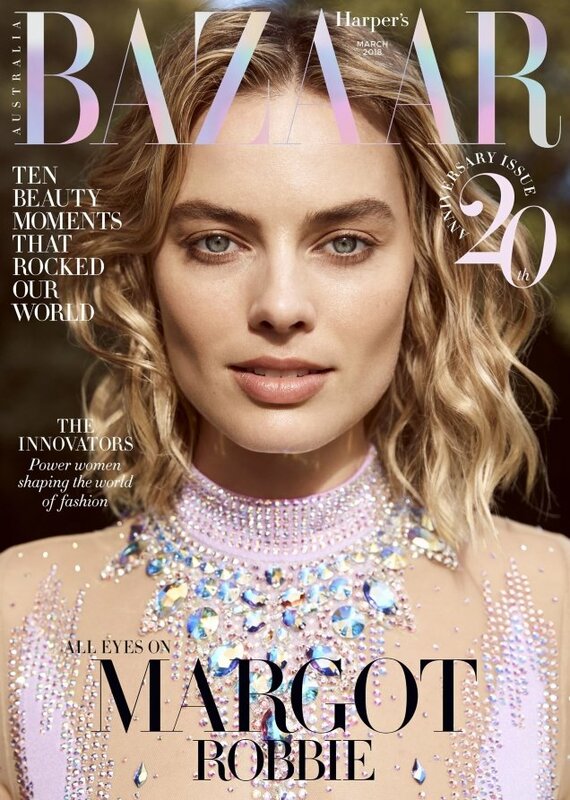 The Aussie native is the actress on everyone’s lips lately, so we can’t blame Bazaar for featuring Margot on the cover of its 20th-anniversary issue. Photographed by Max Doyle, the Australian beauty was photographed on location wearing an embellished Gucci bodysuit in the newsstand cover shot (below). Something about the cover didn’t sit right with our forum members, however. “Why is she wearing her ice skating costume from I, Tonya?” asked A.D.C. “This must be an exclusive, I’ve not seen this shot before. Great for them. This edition reprints so much that I’ve forgotten their ability to pull someone so high in demand. It looks better than her ELLE cover, which I liked, but the Tonya outfit is a bit much. I’m getting tired of her, personally,” Benn98 chimed in. “Great face! No to the outfit,” added Nymphaea. Also unenthusiastic toward the outcome was vogue28. “I’m a Margot Robbie fan and love what Harper’s Bazaar Australia does but this feels a little lackluster. They’ve done so much better with their original content in the past. Not Bazaar Australia’s finest moment with this cover shoot (which is a shame since they’re celebrating 20 years! ),” he ranted. Are you tired of Margot lately? Feel like the magazine could’ve done better? Sound off here. Everything Works on Kendall Jenner’s Vogue Korea Covers for March 2018What Did Grace Elizabeth Do to Deserve This ‘Repulsive’ Vogue Paris Cover?